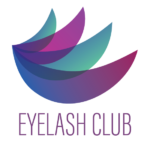 Please shower prior to all lash appointments as you will not be able to get lashes wet for 24-48 hours. Please arrive with lashes completely free of any traces of cosmetics. There should be no residue of any kind. This includes mascara and/or eyeliner. Avoid consuming caffeine as this will make your eyes flutter and you will not be able to relax. We need your eyelids to stay as still as possible for a precise application and the best possible result.